We also have a private support group available on Facebook where you can chat in private to other women who have been diagnosed. We are and always have been proud to be LGBT inclusive and we are here for anyone, however they identify. Your confidentiality is assured at all times. Meet the Peachies. 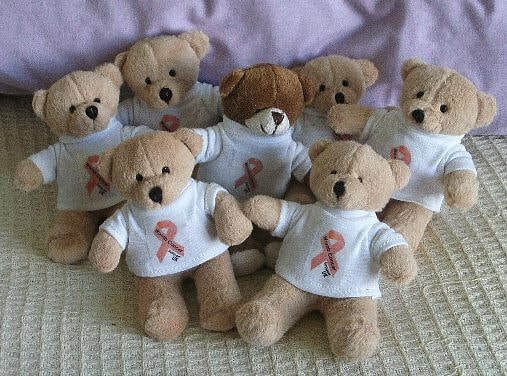 Our band of cute bears who are on a mission to raise awareness of womb cancer. They are going out around the UK spreading the word about the symptoms of womb cancer. (c) Womb Cancer Support UK. 2011 - 2019 All rights reserved.